What is your favourite personal gadget? It would have to be my iPad. Also, I have a lot of fun with a DJI Spark drone I bought myself. Do you have a favourite piece of personal software? I use online maps an awful lot, as a passionate sailor I couldn’t live with GPS navigation. I’m also really into travelling, both for business and leisure, so travel booking apps are indispensable for me. What was the first piece of technology you got really excited about? It may sound obvious, but I think there is no answer other than the internet. Life would be so different without it. Younger people these days can’t remember life before the internet – and they wouldn’t know what to do without it! My generation will be one of the last to have experienced first-hand how the internet transformed everything. The speed and ease of communication and availability of information brought about by the Internet has truly revolutionised the world – it’s power can’t be underestimated. What device improves your life most at work? It would have to be my iPhone and iPad (I carry both). Having the flexibility to work on the move and check my emails and status of projects whilst on my way to meetings or on the go has changed how, not just I work – but how we all work. I now leave my laptop at home. What software keeps you most productive at work? Slack has to be the tool I use most for communicating with my team. I can receive (and give) updates on projects, quickly in real-time and I can connect with people no matter where they are. As more and more people work remotely, and my team expands around the world, this is vital. Of course, Sage People also allows me to respond quickly to requests from my teams, such as days off, and keep on top of team requirements globally as we continue to grow as part of the wider Sage business. Is there any technology that has become extinct that you would like to resurrect? I learnt to code in my first year at university using punched cards. As it took more than an hour to compile and see results, it really made you think hard about the code you wrote. I’d love to resurrect this as thinking before leaping is something to encourage. Is there any technology you would personally recommend that you don’t think enough people know about? (Hardware or software, work or personal) I think that The Internet of Things (IoT) is a technology that will rapidly transform the workplace. Thanks to IoT, companies have access to more data than ever before – but it’s crucial that they know how to make the most of this, otherwise it’s useless. For example, IoT technology will be instrumental in helping organisations develop employee marketing strategies; turning the customer marketing philosophy inwards by using big data to truly know what their employees want. 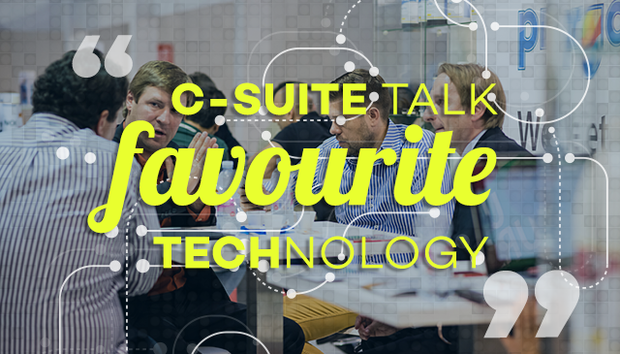 Do you think anything about your personal use of tech would surprise your colleagues? On a personal level, I have a big interest in photography and music so I’m excited about the potential of technology applied to the arts.